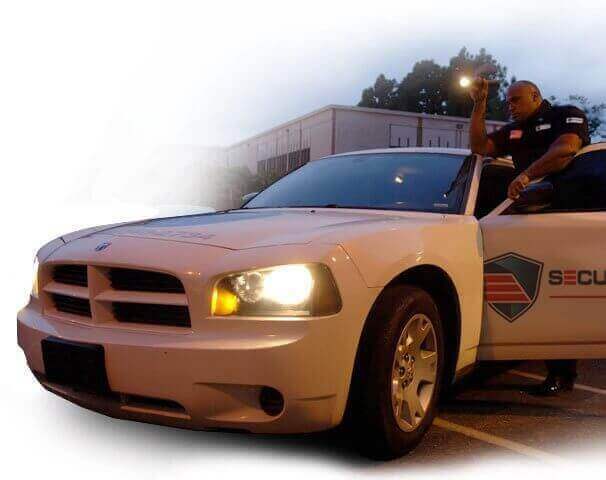 Security Guard Pros is a licensed and insured security guard company and private patrol operator (PPO) that provides high-quality private security services at highly competitive prices. 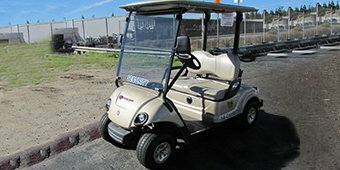 With our trained and experienced security guards, your business can reduce trespassing, theft, vandalism, and other criminal activities; provide a safer environment for your employees, clients, and visitors; and relieve your staff of a variety of routine but potentially time-consuming tasks, such as greeting visitors, tracking deliveries, inspecting arriving/departing trucks, and preparing the required documentation for Cal/OSHA audits. We’re available 24 hours a day, 365 days a week, and customize our private security services to best meet the needs of each client. Every client that works with Security Guard Pros benefits from our extensive experience, wide range of services, strict hiring practices, and fully developed infrastructure. Among our management team, we have nearly 70 years of collective experience in the security field. This experience is reflected in the innovative security solutions we provide our clients and the overall quality of our service. To keep our standards high, we have a program called the Dedicated Management & Client Assistance (DMCA). This structured program was designed to ensure that we provide maximally effective security services and are continuously meeting our clients’ high expectations. As part of this program, our management team performs frequent on-site checks of our guards, monitors the results of our security inspections, provides ongoing guard training, reaches out to our clients on a regular basis, and conducts weekly in-house meetings to address any areas of concern. In addition, we have supervisors on-call 24/7, and use Detex systems and the GeoFence app for added reassurance that our guards are on site as scheduled and performing all required patrols. Our detailed plans will also specify how many guards are needed and what guard qualifications are required. After a security plan is agreed upon and signed, we then carefully craft the guard’s post order duties. Post order duties provide details related to the guard’s post location, patrol route, areas of particular concern, lock up instructions, and other responsibilities. All of our security guards have earned their guard card from the Bureau of Security and Investigative Services (BSIS), and were hand picked by our management team for their professionalism, communication skills, relevant experience, and training. Training includes a variety of topics, such as arrest powers, observe and report, public relations, communications, search and seizure, CPR/first aid, weapons of mass destruction, liability and legal aspects, driver safety, trespass, and officer safety. In addition, our guards received ongoing training internally and externally on more specialized topics. 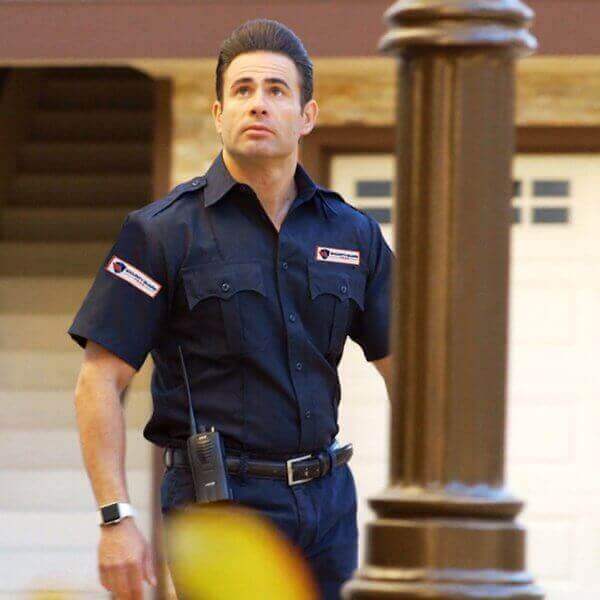 Depending upon your preference, our guards can be armed or unarmed and wear a casual, professional, construction/industrial, or standard security guard uniform. Free Over-the-Phone Consultations -- We Will Match or Beat Any Competitor’s Bid! Call today to tell us about your business’s private security needs. 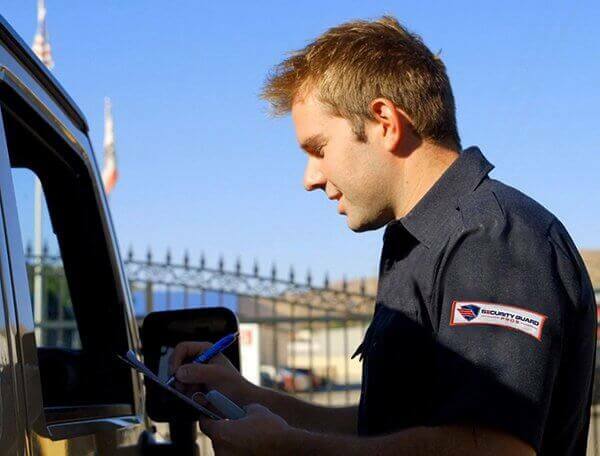 We offer a variety of short-term and long-term contract options for security guard services throughout Southern California, including Los Angeles County, Orange County, Riverside County, San Diego County, San Bernardino County, Ventura County, and Kern County. To get started, call us for a free over-the-phone consultation or to schedule an on-site consultation with a member of our management team. There’s no obligation, and we can come out at a time that is convenient for you. If you already know what you need and have a bid from another security guard company, let us know; we will match or beat any competitor’s bid. Security Guard Pros is always interested in qualified security guard applicants. We have a variety of part-time, full-time, and contract-based security guard positions available throughout Southern California. For guards that qualify, we provide competitive compensation, a supportive environment, and ongoing training. 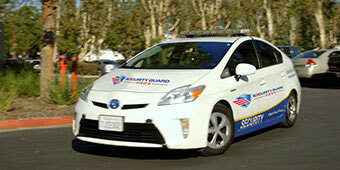 At Security Guard Pros, we pride ourselves on our guard selection process. Every guard must be registered with the Bureau of Security and Investigative Services (BSIS) and have an active Guard Card, have at least a year of security experience working for a mid- to large-size company, and have a clear criminal and civil background check. If all of these requirements are met, then we typically invite the applicant in for an in-person interview. Our interviews look for guards who appear professional and approachable, understand the importance of customer service, and have strong communication skills. If you feel that you meet or exceed these qualifications, please complete the form below.